Viewsonic has unveiled a new HDMI-sporting 24-inch display aimed at the high-end market. 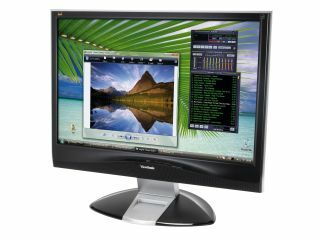 The VX2435wm is Windows Vista Premium Certified and isn't designed just for PCs, but to be used with HD-enabled gaming consoles, too. The £534 display provides a native resolution of 1920 x 1200 pixels. That, says Viewsonic, enables the screen to provide more details then usually found on current full-HD LCD-TVs. As well as HDMI, there is also a range of other connectivity options. These include component, S-Video, composite and VGA. A button press toggles between these inputs. Both the component video and the HDMI inputs work with high-bandwidth digital content protection (HDCP). Meanwhile, the screen has a high contrast ratio of 1000:1 and 500cd/m² of brightness and a response time of 8ms. There are also integrated speakers.